Overwatch Anniversary offers some cool skins, but what are your chances of actually getting them all? Overwatch is perfectly playable without collecting every single skin, but there’s no denying the psychological compulsion of those sweet, sweet RNG loot boxes. 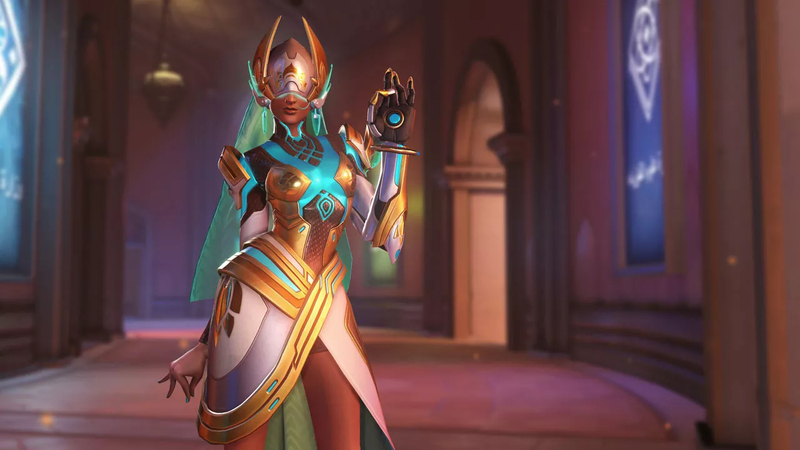 If you’re one of those Overwatch players who just have to have every skin – or even just one particular skin you especially like – rather than simply accepting what comes, the Overwatch Anniversary event is going to be a bit of a trial. As calculated by Desks_up on the Overwatch Reddit, it’ll cost you 56,475 credits to buy enough loot boxes to collect the 108 skins, sprays, voice lines and emotes in the Overwatch Anniversary event. That’s a lot of credits. Elsewhere in the thread a couple of level 600+ Overwatch players who have never spent any credits at all chimed in to say they’re holding upwards of 60,000 credits, earned over their entire careers. Most Overwatch players have, uh, significantly less than that in the bank. It’s also a lot more expensive than past Overwatch events; the nearest was Year of the Rooster at 37,050 credits. According to JollyGirl on Reddit, assuming you spent all your credits during Uprising, you would have had to earn an average of 1,380 credits every day to have enough to purchase everything by the end of Overwatch Anniversary. Again, that’s way more than for past events. The good news is, of course, that you don’t necessarily have to purchase 50,000 credits worth of loot boxes to get all the Overwatch Anniversary gear; free loot boxes will bite into that total. Save your credits for the final day. On the other hand, if you do decide to purchase Overwatch Anniversary loot boxes with credits, you’re still dependent on RNG to bring you the content you’re actually chasing – so with that and duplicate drops it could potentially end up costing you a lot more. You can, of course, speed up your acquisition of Overwatch Anniversary boxes by paying real money rather than grinding credits, but there’s still RNG to contend with. We know the drop rates for content in Overwatch loot boxes, and they’re not great. It might be better to resign yourself to resisting the temptation to buy into Overwatch’s skin collecting culture. Not better for Blizzard’s pockets, but certainly better for yours.